Following on from the success of Snapped the Movie (www.snappedthemovie.com), the UK’s first Snapchat movie, 2Far Media are continuing their commitment to creating a series of ‘social movies’ (a new term for short social media films that it has coined) by pioneering a collaborative project to create a Snapchat movie with a distinctly Nigerian flavour. Written by Olivier award-winner Bola Agbaje, partnering with Nigerian director Kewa Obi, Snapped Nigeria has used a highly collaborative process of workshops and online social media meet-ups between the two countries. 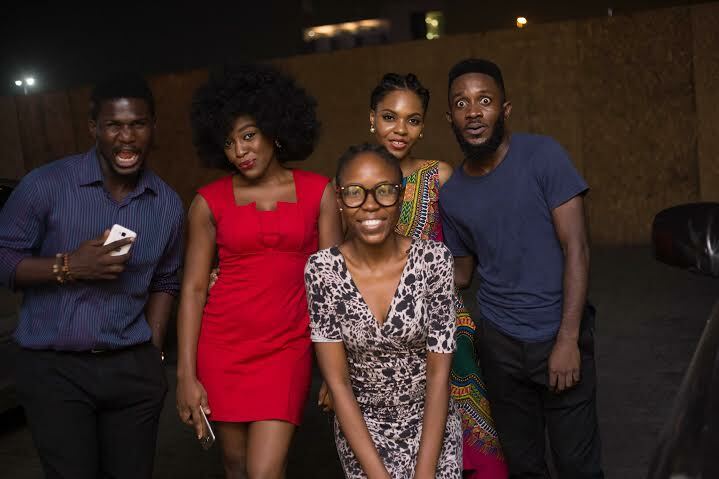 The movie was produced by award-winning Nigerian actor/producer Lala Akindoju and, after shooting in Lagos was completed during February, is currently going through its final editing and post-production process in London by Tom Moutchi, who was the director of the original Snapped the Movie. 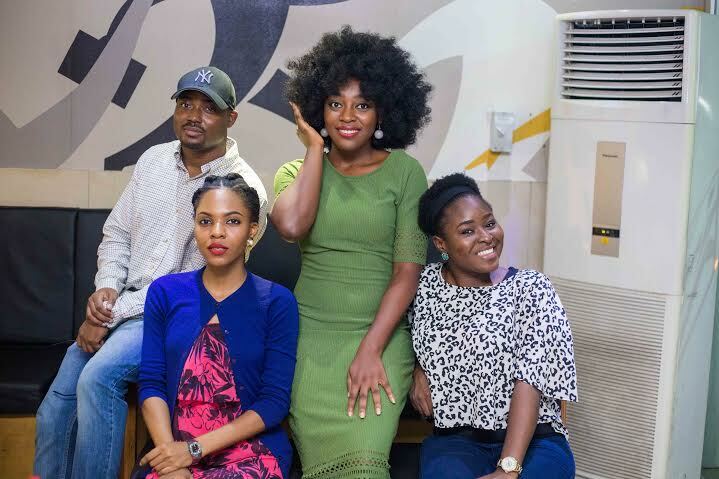 An early pre-release cut of Snapped Nigeria had a successful preview with a audience of online professionals during a Social Media Week Lagos interactive session on February 26th. Snapped Nigeria is being produced in close association with the British Council as part of their UK/NG 2015-16 programme. “Spielberg learned how to make movies by using Super 8. The new generation’s Super 8 is a smartphone and this generation’s young Spielberg is somewhere in the world with a phone in their hand waiting to be inspired. When Tom Moutchi and I worked on Snapped the Movie in the UK we said we would love to take the concept global. Bola Agbaje is a playwright/screenwriter and creative director listed in Debrett’s People of Today. Bola’s first play, Gone Too Far! premiered at the Royal Court Theatre in 2007, and subsequently ran at Hackney Empire and The Albany Theatre. The play won the 2008 Oliver Award for an Outstanding Achievement and the same year Bola was also nominated for the Evening Standard Awards for Most Promising Playwright. In the last nine years Bola has also had a number of her plays performed in London theatres including Off the Endz, Detaining Justice, Belong, House of Corrections, The Burial and Take a Deep Breath and Breathe. Many now well-known actors had their early career debuts performing roles in Bola’s plays. Bola’s film adaptation of Gone Too Far! premiered at the London Film Festival in 2013 and won the 2014 DC Award at the London Comedy Film Awards. Gone Too Far! went on cinema distribution in the UK and Nigeria and won the People’s Choice award at the African International Film Festival 2014 and the Bafta/LA prize at the 2015 Pan African Film Festival. Bola is currently writing the sequel to Gone Too Far! and also writing an original TV drama series currently in development. She wrote the original screenplay for the highly successful 2015 Nigerian feature film, Fifty, and in 2016 received her third commission from Royal Court for a new original play as well as a commission by Mulberry Pictures for a two-part drama to be broadcast on prime-time TV in the UK. 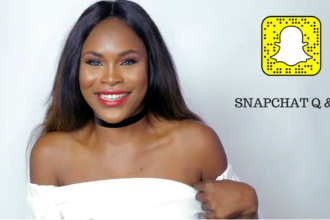 Bola Agbaje is a co-director of production company 2Far Media Ltd and has developed and written the web TV comedy series, Hot Pepper, and a short social movie on SnapChat called Snappedthemovie, which was the UK’s first Snapchat film. Both projects were released online in 2015 and Snapped Nigeria, her second Snapchat social movie, is currently in production in London and Lagos. Kewa Oni was born and raised in Lagos, Nigeria and graduated from London Film Academy. As well as writing, directing and producing, he is an ardent student of filmmaking and filmmaking technology. His company, Outside The Box, explores new ideas in filmmaking imagery, technology and media, especially new ways to deliver content to viewers. Lala Akindoju is a phenomenally successful actor, drama instructor, director and producer. Growing up in Lagos, she started acting professionally in 2005 and has since featured in over 70 stage and film productions around the world. She was announced Actor of the Year at The Future Awards 2010 and In March 2016 won the AMVCA Trailblazer award. Lala was part of the ensemble of actors selected to perform at the Theatre Royale Stratford East at the cultural Olympiad during the London 2012 Olympics. She is a member of the faculty at the Lufodo Academy of Performing Arts (LAPA), where she functions as a facilitator and teaches improvisation drama. As actor, director and producer Lala runs Make It Happen Productions, a production company focused on telling African stories through all media especially film, television and stage. She is also passionate about changing the world and has become a global shaper with the World Economic Forum. She has since been selected to attend the summits in Addis-Ababa and Davos and the US. Tom Moutchi (also known online as Tommy Xpensive) is a multi-talented actor/writer/director/performer/comedian featured in Raison D’etre (2014) and Balance (2015). Over the past year Tom has rapidly become a household name amongst the under-25 UK demographic through his highly entertaining social media presence. His popular Facebook, Instagram and Vine channels have attracted huge audiences who love the short comedy videos he posts featuring himself and his regular ensemble of actors. At 2Far Media we describe ourselves as a creative arts company working across Theatre, TV, Film, Online channels and Music focused on creating and producing innovative high quality ideas, stories and propositions which we develop into serious drama, popular entertainment, cultural events and digital content and channels. In our ‘social movies’ projects we combine industry-level production values with those of grassroots production and work with young people to tell relevant stories using instant and accessible technologies. Our Creative Director, Bola Agbaje is an Olivier award-winning writer and dramatist whose work is widely staged and our Executive Producer, Clive Holdsworth FRSA, comes from a creative business management background with specialist experience in digital media.